In warehouse environments, safety, security, and fast, reliable data collection and communications are imperative. From inventory management to order fulfillment, asset tracking, and shipping and receiving, the warehouse floor is complex ecosystem that requires high-efficiency technology to keep it running smoothly. Winmate’s full line of rugged mobile tablet and vehicle-mount computers help minimize errors, streamline ordering and inventory management, and improve operational efficiencies. The M9020 runs on a 1.6GHz Intel Atom N2600 of the full Windows version. The tablet features an outdoor viewable touchscreen with 1024 x 600 pixel resolution. Weighing at just 3lbs. (approx. 1360 grams), the M9020 delivers lightweight mobility in a rugged tablet. It is also equipped with a hot-swappable battery for uninterrupted operation, and features robust data capture with a 2.0MP front camera for conferencing and a 5.0MP rear camera for additional data capture. The integrated keyboard and physical function keys will appeal to those who prefer the usability of a full keyboard, but in a tablet form factor. For wireless connectivity the tablet comes equipped with Bluetooth v4.0 and comprehensive 802.11a/b/g/n dual band WiFi, Gobi 5000 4G LTE mobile broadband, and a u-blox 6 GPS module. 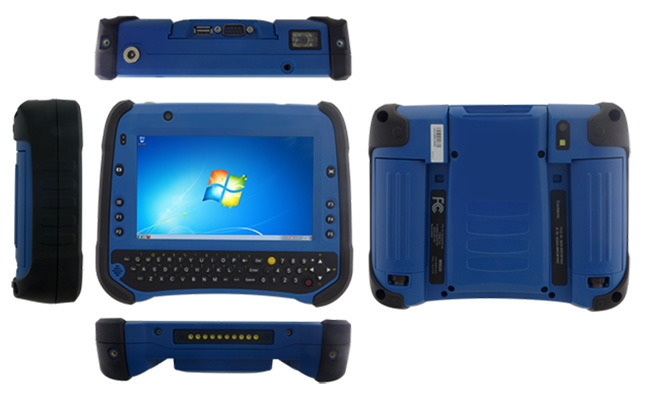 This tablet is built for the warehouse and other rugged environments. It is fully operational in extreme temperatures ranging from -22 to 122 degrees (-30 to 50℃), can withstand 6ft. drops, and is sealed to IP67, offering complete waterproof protection. 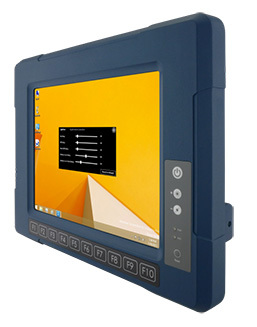 The dual-core powered rugged tablet can be securely mounted inside a forklift with a dedicated vehicle dock, and quickly dismounted from the docking to assist in monitoring and tracking inventory information in the warehouse. 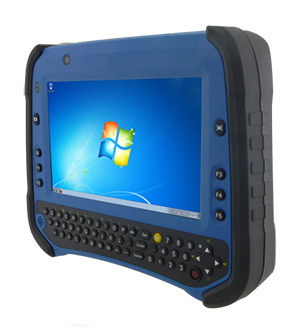 The Winmate G-WIN is a rugged vehicle or stationary-mount, Intel Atom D2550 panel computer. It features an ignition on/off delay for accurate vehicle power management, and offers a super-solid and highly configurable rugged exterior, exceptionally well suited for harsh environments, such as vehicle, forklift, and warehouse mounting, to name a few. The G-WIN features wide-range power (6 to 60 volts) and operates on vehicle power, eliminating the need to recharge batteries. The ignition on/off delay feature prevents the panel PC from instantly shutting down when the vehicle ignition is turned off, or from needlessly running after the vehicle has been shut down. The ignition on/off delay is fully customizable with an automatic shut off ranging from approximately 1 to 120 seconds. G-WIN Panels can be mounted either via standard VESA mount brackets or special vehicle mount solutions and are suitable for a very wide range of industrial and commercial applications. 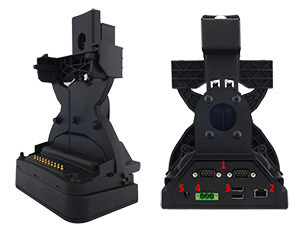 Winmate designed the G-WIN panel to be sleek and simple, eliminating all unnecessary hardware controls and buttons. 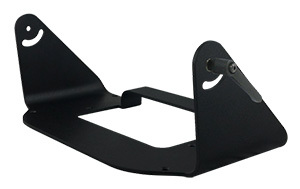 This ensures ease of use and full functionality in a variety of rugged conditions.